Moto Black Denim Overalls in Slim Fit. Rev up your biker style with these mens black denim overalls detailed with moto-stitched knee panels. Solid black dungarees framed with adjustable shoulder straps attached to a pocketed bib over slim-tapered legs and suspender-style back. 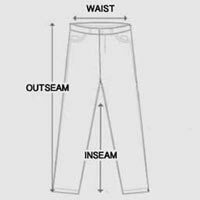 Denim cotton blend has comfortable stretch throughout finished with wrinkled treatment along thighs. Overalls include front and back pockets, waist buttons, zipper fly and belt loops. Shoulder straps can be completely removed if desired. When you need a break from classic black jeans, these moto black denim overalls for men will refresh your streetwear rotation.